"My senior was shocked. How did a security guard decide for his son to continue his tertiary education at a private university?" 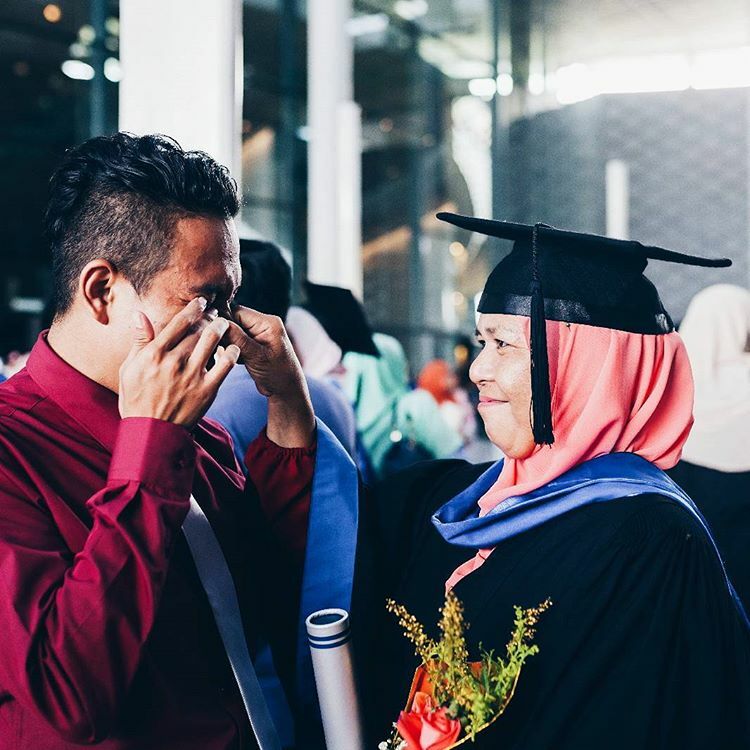 On the day of his graduation, 23-year-old Nizam Mustapha tried not to cry when his mum asked if he wanted a bouquet of flowers. "Mak dah tanya, tapi RM100." Flowers were the last thing on his mind. Nizam knew how much his family sacrificed so he could hold a scroll and wear that robe that day. Nizam (left) in tears while his mother looks at him with pride. Nizam didn't come from a rich and wealthy family. Since he was a kid, Nizam and his family took each day at a time and lived a simple life. "I wore my school shoes and uniform until they were all old and ragged because I could not afford to buy a new one. I wished to be a prefect or librarian in school but at last, I put aside my dreams because I didn't have enough money to buy a new uniform," the 23-year-old said. 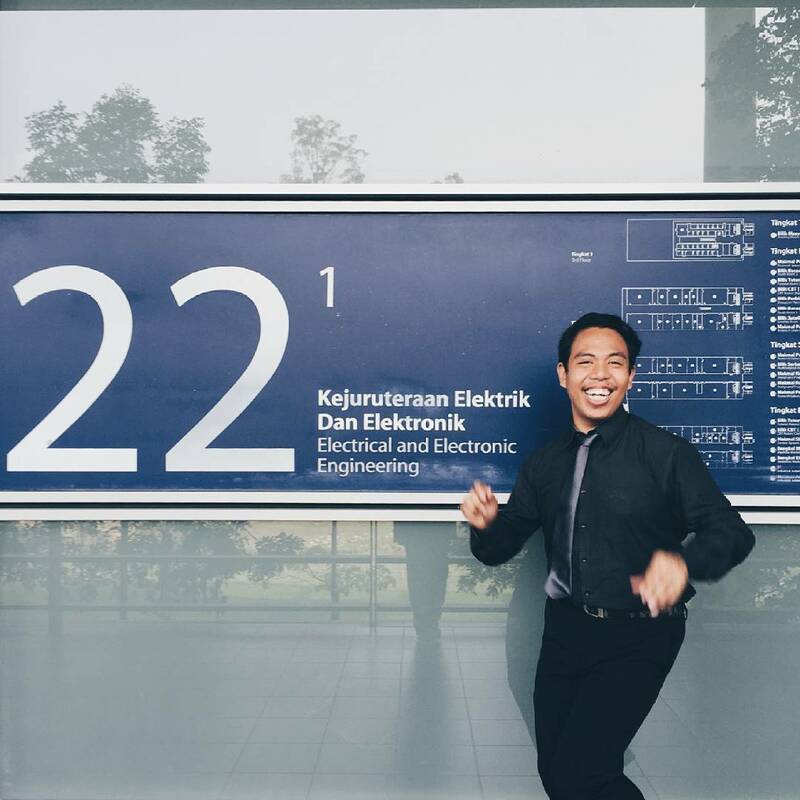 Nizam recalled the time when he chatted with a senior during the Universiti Teknologi Petronas' (UTP) orientation programme. 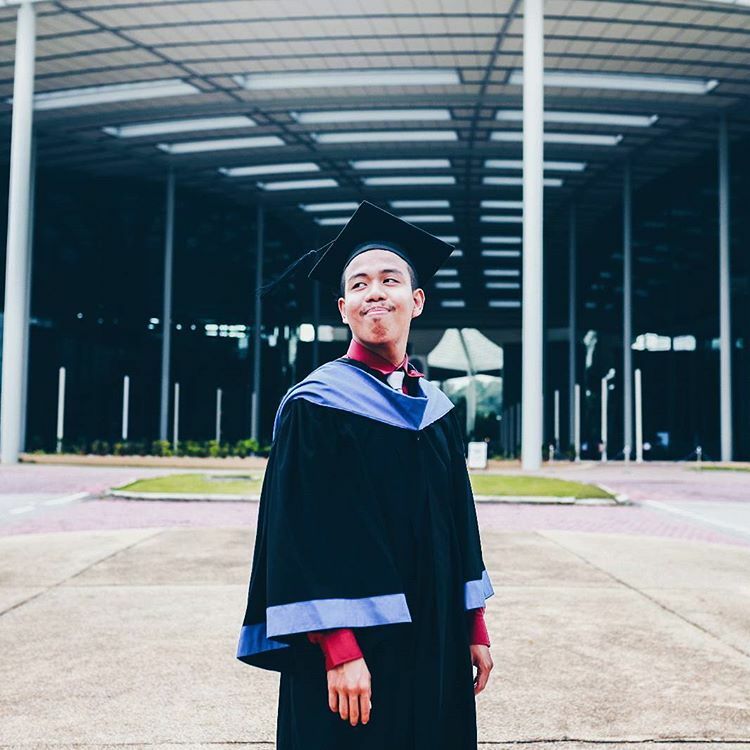 "I didn't really bother to apply for UTP because I know UTP is a lot more expensive as it's a private university. But my dad encouraged me to try first and he said that if it's my luck, I should go for it." It was because of this, Nizam gave UTP a try and got that offer to study at the university. "I still remember when I needed to attend an interview, my dad rented a car and we travelled at 12 midnight because the interview was in the morning. We went back on the same day because we didn't have any money to rest overnight at any room or hotel." Nizam knew that accepting the offer to study at UTP would be a financial burden to his parents. He was going to decline the offer. 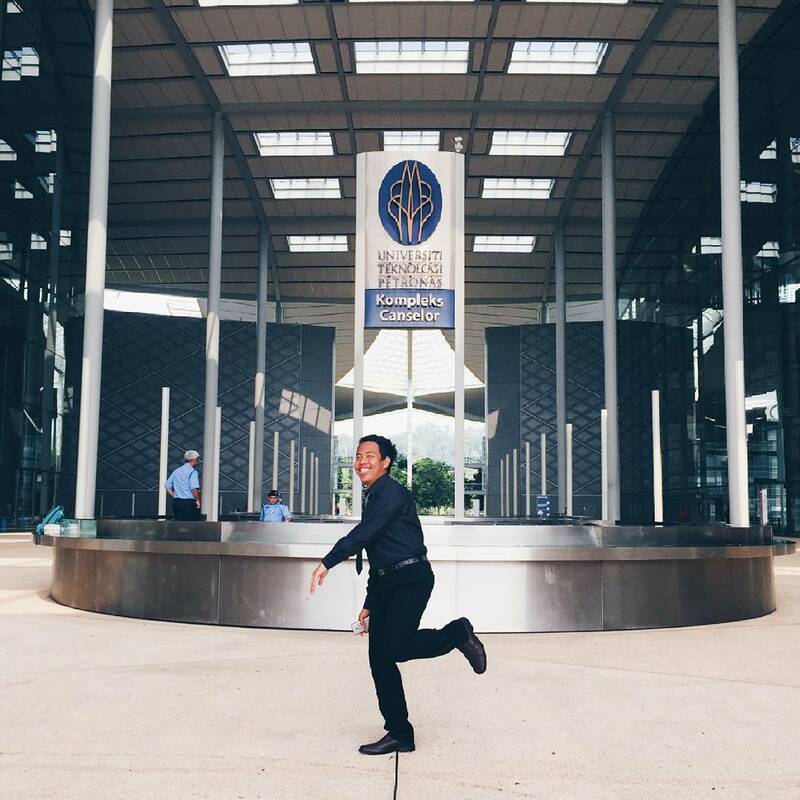 "My dad told me to go to UTP because he said that UTP is good, and not everyone has the opportunity to make it there. But at the same time, I got an offer from another university. Same course but just different universities." "I knew that my heart was for UTP, but because of money issues, I informed my dad that I wanted to go to the other university." "I know the struggle because since I was a kid, even going to school was difficult. What more this, a private university. At that time, my dad borrowed a bank loan to renovate the house. But you know what, he gave me half of the sum of the money for my fee at UTP." Nizam's father gave his 110% so his son would have the best, but there were times when the head of the house exhausted all possible options. At the beginning of his studies during the foundation programme, Nizam needed a minimum of RM2,500 to pay his fees. "Just imagine, within 2 weeks, my dad needed to find RM2,500. At that time, my dad told me to extend my semester because he could not afford to pay my fees." Both his mother and sister also went around asking people they knew if anyone was willing to lend them some money. "In the end, I asked my friend for help. Her name is Alia Shahrudin, who is also my friend from UTP. Her dad willingly lent his money to me. To be honest, I was so embarrassed because I needed to borrow money from a friend's father," Nizam said. "Deep down, I was so stressed. It was so difficult to see my mum asking here and there for money." "I still remember how those people mocked my mum." "They asked her, 'Do you even have own any property that you can pawn to pay the fees at UTP?'" Yet, despite these lowly remarks, Nizam's parents continued to lend support to their son in whichever ways that they can. "Sometimes, Mak was willing to put on a thick face to borrow money just for me, her son." When he wanted to give up, Nizam's parents continued to be his source of inspiration and he pulled through with their encouragement. 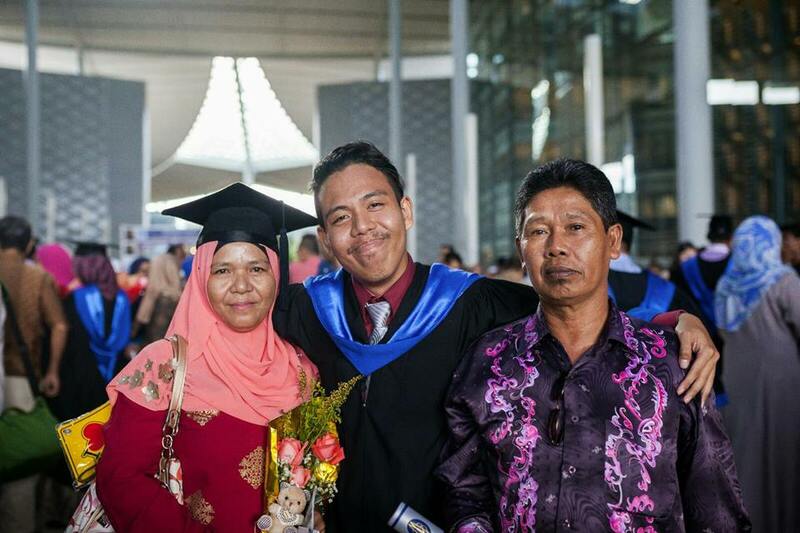 Five years later, as an electrical and electronic engineering graduate, Nizam dedicates his success to his abah and mak. "Whether you’re rich or poor, make both your parents proud!" "To all the students out there, whether you're rich or poor, make both of your parents proud of you," he said. "Don't you even try to fool around during your student life. Strive as much as you can. Not everyone is able to be at where you are today, so be grateful and remember your abah and mak."